Feels like it is already a routine every weekend: Eating out on Friday after work (sometimes no, depends), grocery shopping, visit in laws, make some ice lollies and steam a cake for supper on Saturday, bring Kz to the pool and cook "no-rice" dishes for dinner on Sunday. Anyway, attempted to cook hokkien mee yesterday for dinner. It turned out well. Yummy. Before I continue more on yesterday, I will start with Friday night, after work. We went to the same Taiwanese restaurant for dinner. Hubs had the beef steamboat with rice, I had noodles with shredded meat and vegetables. We called an additional fried chicken. On Saturday, went to the Jusco Cheras Selatan to buy some stuffs before going to the in laws, as usual. 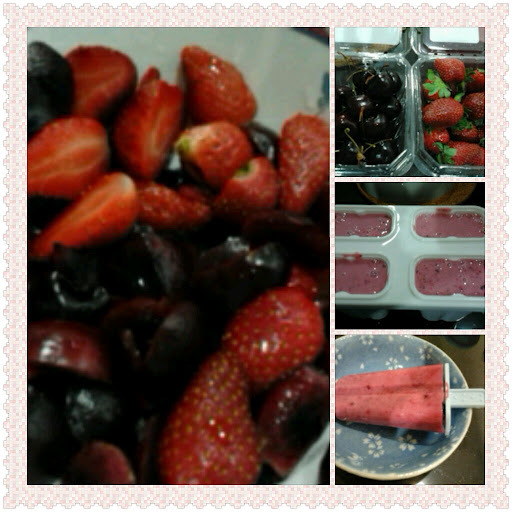 At night, I made cherry+strawberry yogurt ice lollies. 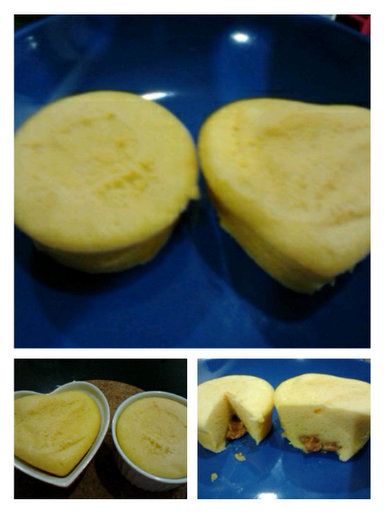 Later at night, I steamed cake again. This time, with peanut butter filling. I was stupid not to realize peanut butter is heavy, hence, it sunk right to the bottom. But the cake was good though, moist and soft. 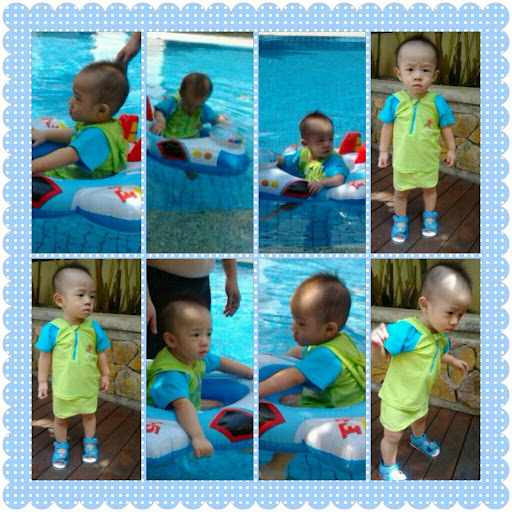 On Sunday, we brought Kz to the pool around 2-3pm for swimming time. 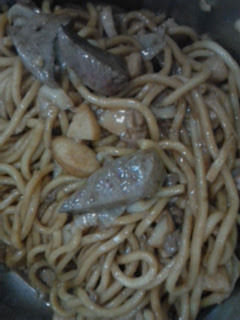 Then, I cooked hokkien mee for dinner. Turned out to be delicious! Fry garlic in a pan. Add in pork, minced pork, cabbage, fish cakes and liver. Don't overcook the liver. Scoop aside. In another pot, braise noodles with chicken stock until noodles is soft. Add in the pre-fried "liew" and sauce, add corn starch, mix until the gravy consistency is right, serve hot.